Our LLB (Hons) Law with Accounting degree offers the best of both professional worlds. With us, you don't just learn through traditional academics, you experience your degree through direct exposure to successful lawyers, accountants and business leaders through industry workshops and guaranteed internships (subject to academic performance). Students have previously visited Unilever, IBM and Savills for industry workshops. This degree offers a diverse range of career opportunities, combining academic theory with legal and accountancy skills, in the FTSE 100 environment of Pearson PLC. You’ll be taught by qualified solicitors and chartered accountants, so you get a practical knowledge of both industries. Study this course at our Midtown campus in Holborn, one of London's busiest business districts and legal centre, home to the Royal Courts of Justice and leading law firms. 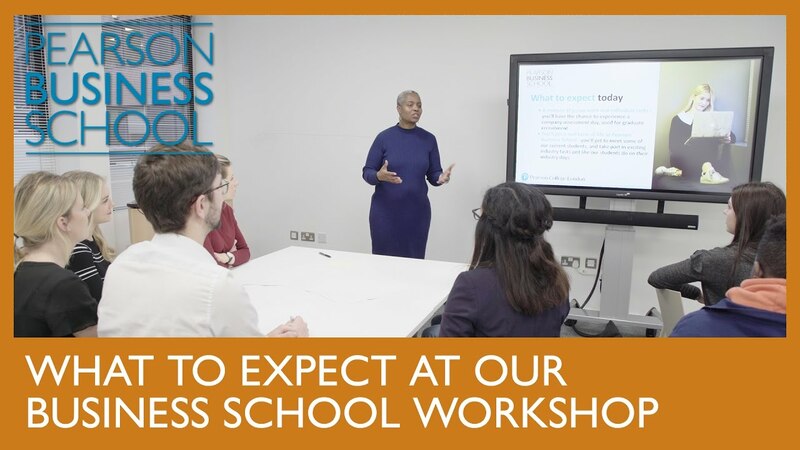 Welcome to the Pearson Business School approach to studying law and accounting, that’s focused on providing you with a real-world understanding of the legal and financial sectors. Our degrees are designed by industry. This means that our industry partners, including Lloyds of London, have helped develop our degrees to get you prepared for the modern workplace. Our classes are taught by practising lawyers, chartered accountants and leading academics at the Midtown Campus in Holborn, London. Be in the centre of the legal world, near to global law and accountancy firms and the Royal Courts of Justice. Explore law and accountancy modules through real-world learning, including workshops, guest speakers, guaranteed internships (subject to academic performance) and company-based mentors: as well as through more traditional lectures and seminars. You’ll develop the legal and accountancy knowledge for building a successful career in law and finance. This degree is a Qualifying Law Degree which enables graduates to continue to the professional stage of qualification as a solicitor or barrister. You’ll graduate ready to meet the high demand for employees with a specialist knowledge of law and accountancy. After graduation you’ll have the option to jump straight into a legal role, such as a Barrister’s Clerk, or continue with professional training to become a fully-qualified Solicitor or Barrister. A good understanding of the law is a highly valued trait within the accountancy profession. With this combined degree, doors will be opened to becoming an Accountant Officer, Accountant, Finance Executive and Investment Analyst.